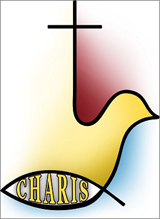 Charis Foundation is a Christian mission from Romania that aims at changing the community for the good by showing God’s love in a practical way. With an experience of more than 20 years, our foundation supports and encourages the Romanian society to get involved in charitable activities and meet the social, educational or cultural needs of the community. We are a non-denominational, evangelical Christian NGO. Our headquarters is located in Sântion, 10 km far from Oradea, a city situated in the North-Western part of Romania, at the border with Hungary. “Therefore, since through God’s mercy we have this ministry, we do not lose heart. Rather, we have renounced secret and shameful ways; we do not use deception, nor do we distort the word of God. On the contrary, by setting forth the truth plainly we commend ourselves to everyone’s conscience in the sight of God. For what we preach is not ourselves, but Jesus Christ as Lord, and ourselves as your servants for Jesus’ sake. For God, who said, “Let light shine out of darkness, “made his light shine in our hearts to give us the light of the knowledge of God’s glory displayed in the face of Christ. “So then, just as you received Christ Jesus as Lord, continue to live your lives in him, rooted and built up in him, strengthened in the faith as you were taught, and overflowing with thankfulness”. The people were Christ’s concern. The people are our priority! Confidence in God is the foundation of our work. Heavenly Grace is the motivation of our dedication. Answerable to God is the key of our ministry. Relationship with our neighbours is the essence of our work. Integrity is the norm of our actions. Scripture is the source of our mission. An ALTAR to worship God. A SANCTUARY of the Kingdom of God. Promoting the truth of the Scripture with our lives in a relevant manner by recognizing that Christ is king over all the aspects of one’s life. Being a part of the restoration and re-dedication of people and communities, thus accomplishing the Great Commission. Putting into practice, through our service, the principles of the kingdom of God, thus pursuing to encourage people and transform communities. Our purpose is to initiate, develop, support and encourage charity work in the social and cultural field, following the Bible teachings and the Christian ethics, with a view to making God known and praised. Learn more about Charis’ team, our history, and our mission. For recent history of Charis, check out our online PDF Library of Charis Highlights from 2007 – 2013. All Charis Highlights from 2014 – Present day will be found in our blog.